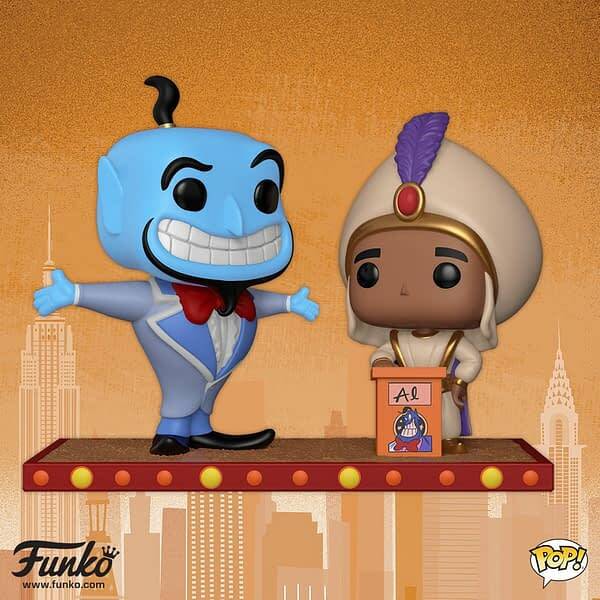 Home » Games » Funko Toy Fair Reveals Part 1: Disney, Doug, Wrinkle in Time, Jetsons! 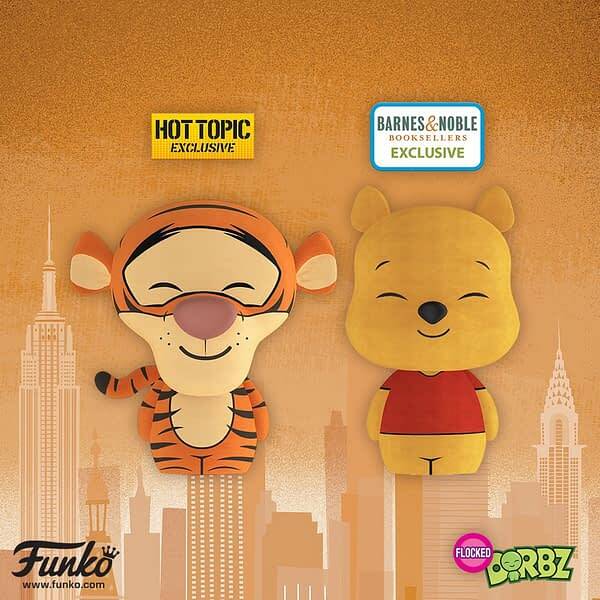 Funko has begun their New York Toy Fair reveals. These will be coming in hot and heavy today, ahead of the first day of the show and just like in years past, there is a ton to go over. In this post we will take a look at their Disney offerings, their pops from the upcoming film A Wrinkle in Time, and Pops of The Jetsons! 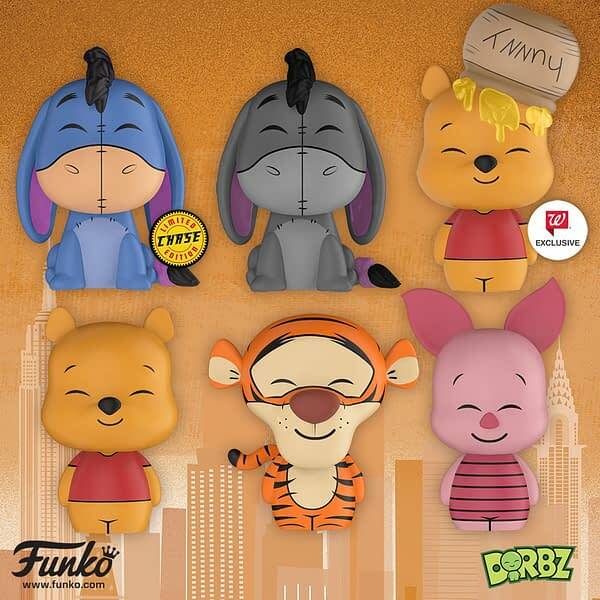 First up is a wave of Dorbz for Winnie The Pooh. Chases and exclusives galore here, but the best one has to be the Walgreens exclusive with the honey jar on his head. That is just too cute. 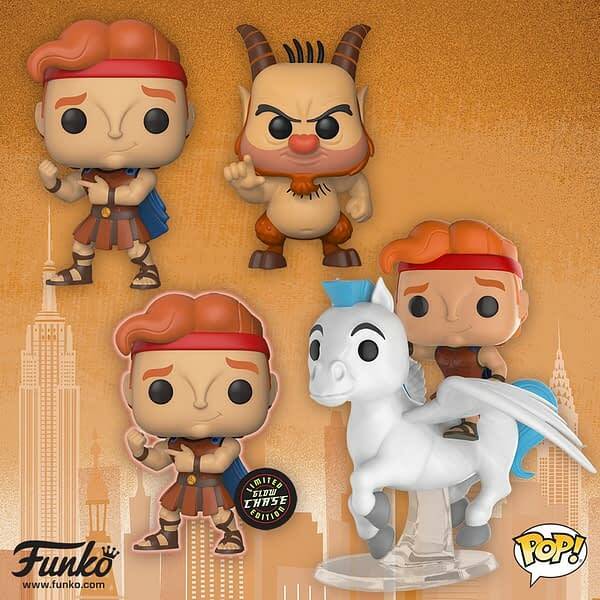 Hercules gets a pretty decen-sized wave of Pops, also with its fair share of chases and exclusives. And even a Pop Ride thrown in with Herc on Pegasus! 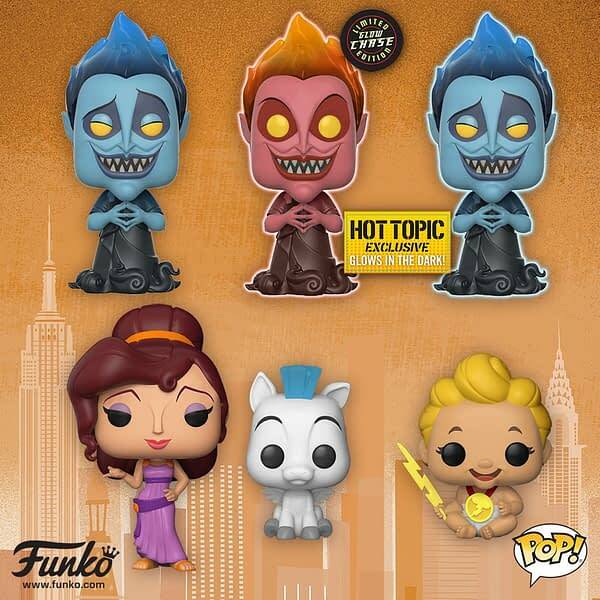 All three Hades look awesome as well, those glow exclusives at Hot Topic will be tough gets. 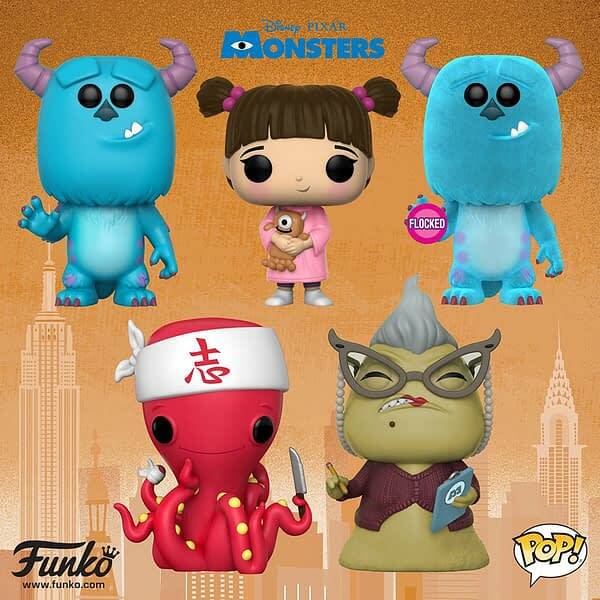 The Monsters from the Pixar franchise get their own wave of Pops. 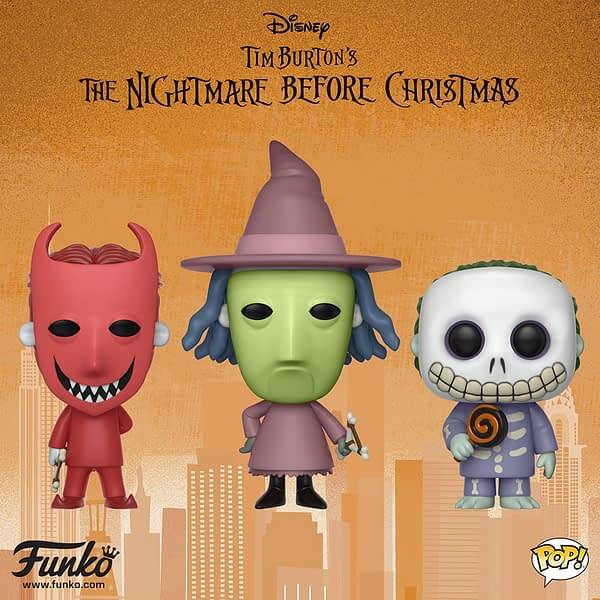 I love the Boo Pop, that is quite adorable. Movie Moments steps outside Star Wars and gives us a classic moment from Aladdin. Man that Genie is cool. Makes me sad though. I miss Robin Williams. 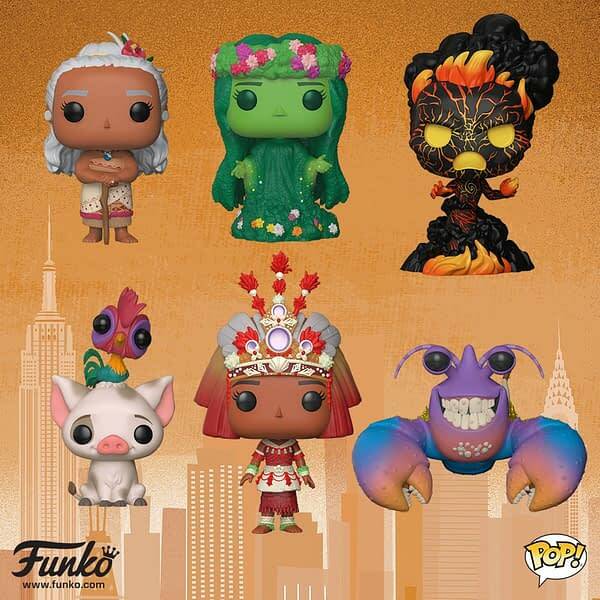 I am surprised to see a big wave of Moana Pops! Pleasantly surprised, but I did not see this one coming. These will all be must-buys in my house, that is a popular film over here. 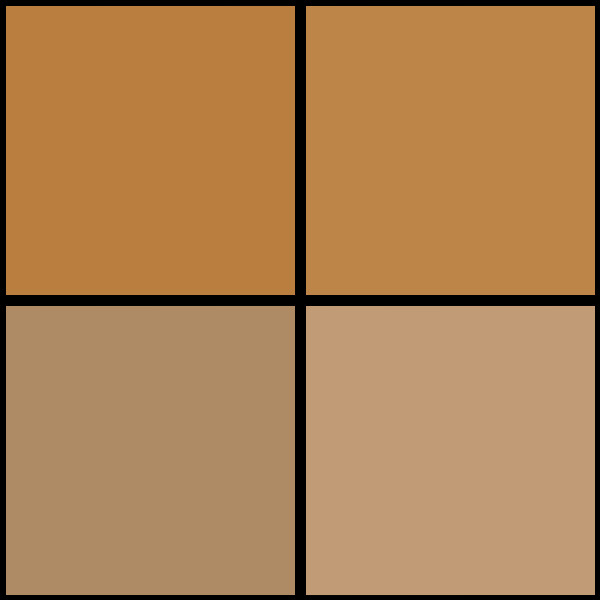 Lock, Shock, and Barrel all get really great looking Pops.Wish their masks came off though. Mrs. Whatsit, Mrs. Who, and Mrs. 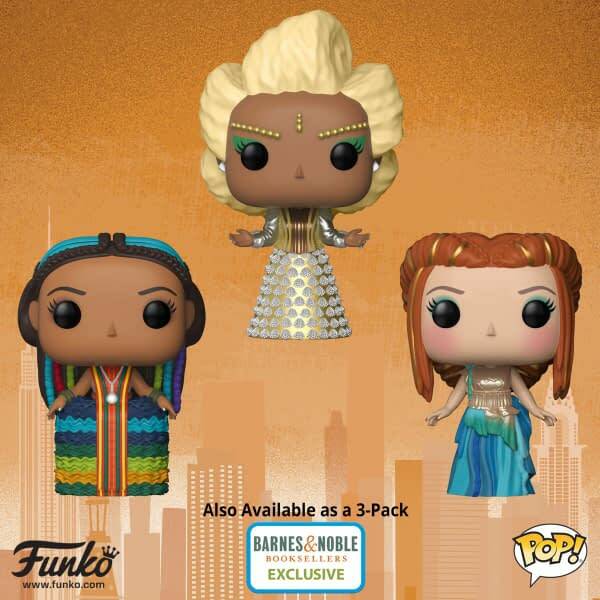 Which from A Wrinkle in Time will all be available individually and as an exclusive three-pack at Barnes and Noble. 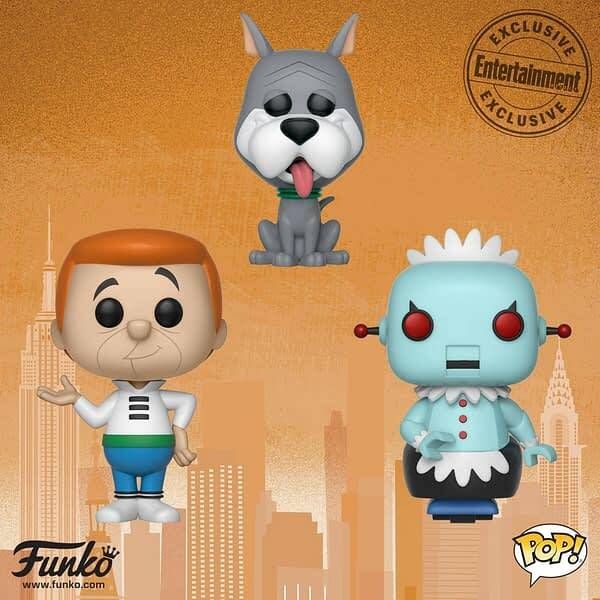 And finally, The Jetsons invade Pop with three new figures coming. 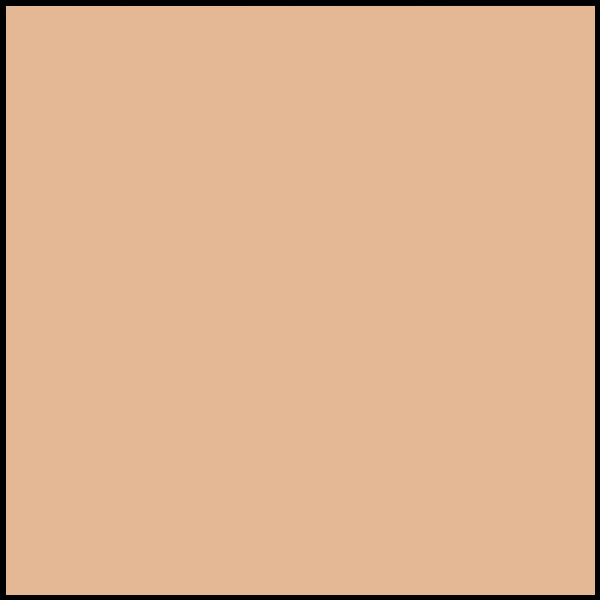 We will keep the announcements coming as they are shown. Stayed tuned all weekend for Toy Fair coverage!